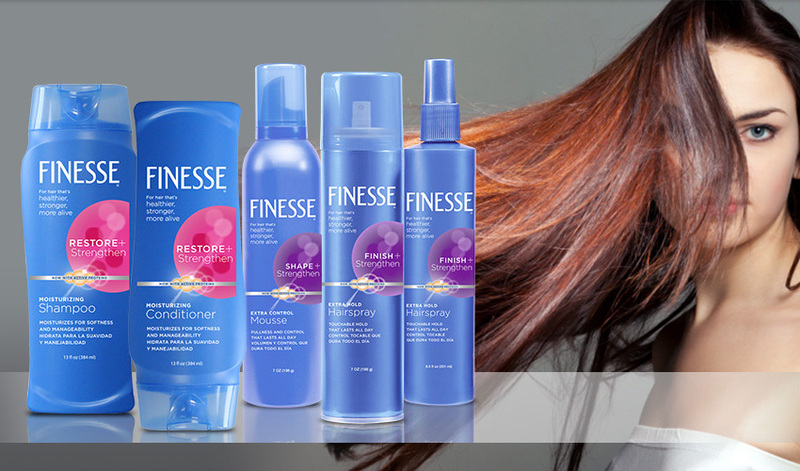 At Finesse, we care about your hair, and we want to always help you look and feel your best, especially when it comes to making a good hair day even better! That is why we’ve created a unique formula with active silk and soy proteins that penetrate deep into the hair shaft to help restore and strengthen hair that’s damaged, dry or just straight up stubborn. With these ingredients, hair is replenished with natural moisture leaving hair healthier, silkier and more alive. No Frizz. No Fuss. Just Finesse.